It is only matter of weeks before Sears Canada passes into history. The last of its network – which at one time included over 100 department stores, 50 or so Sears Home stores, travel offices, a service network as well as over 1,000 catalogue pick-up locations across the country – will shutter for the last time. An ignoble end for a company which had a profound impact on this country’s economy and, in many ways, was the most influential retailer the industry has known. In reviewing all the reportage the demise of Sears Canada has generated in recent weeks and months, one theme is reinforced time and time again: how preventable it was. 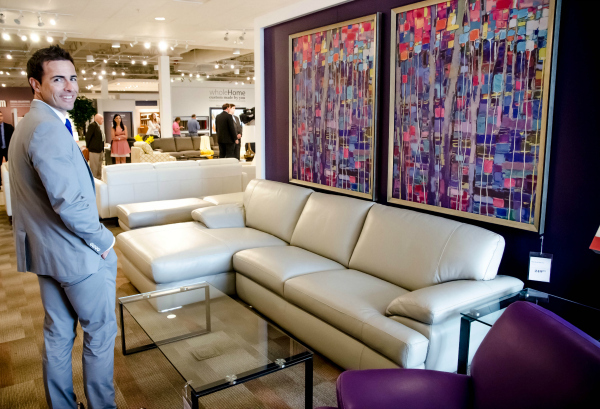 For much of the past three decades, Sears Canada has been one of the most powerful furniture, mattress and major appliance retailers in the country. Big ticket home accounted for 40% of annual revenue year in and year out. In its last full year as a reporting public company, sales in those three categories (along with other hardlines such as barbeques, snow blowers and lawn mowers) were in excess of $1 billion. At its peak, sales were probably double that. Even though sales had been on a downward spiral for some time, it remained a powerhouse and a member of a club that had only three other members: Leon’s Furniture Limited, operator of Leon’s and The Brick, the largest furniture, mattress and major appliance retailer in the country; IKEA Canada; and BMTC Group, the Quebec-focused owner of Brault & Martineau, EconoMax and Ameublements Tanguay. The real question at this point is: where will that $1 billion in business go and how long will it take to get there? Most industry executives Home Goods Online spoke with agree there will be a transition period, but it may not be as long as one would think. Most also agree that while the exit of Sears Canada is sad and unfortunate, it is literally also an once-in-a-lifetime opportunity for ambitious independent retailers who are willing to invest for growth. There are many reasons why it all went so wrong, but most observers – both those who worked inside Sears Canada or were active suppliers to the company – assign most of the responsibility to an owner who was more interested in monetising its assets than investing in the future. Many observers also note that during the heyday, the catalogue business was so sophisticated, with a distribution network that reached into every corner of this country it was literally unmatched by anyone anywhere. Several of those the writer spoke to said Sears Canada was Amazon long before the Amazon we know today. In addition to the card and the catalogue, the other major driver behind Sears Canada’s success was big ticket. For the past three decades – in fact, until quite recently – it was the largest major appliance retailer in the Canada, with a market share around the 25% market. This was due in large part to the trust the Canadian consumer had in the Kenmore brand name. More often than not, Sears Canada was the number one mattress retailer in the country as well. While the competition in this category was a little more intense – thanks to the efforts of The Brick and Sleep Country Canada – its market share rarely drifted below 15% although it was relegated to the number two spot in certain regions across the country. Click here for the rest of Michael’s report in the Winter 2017 HGO Merchandiser.